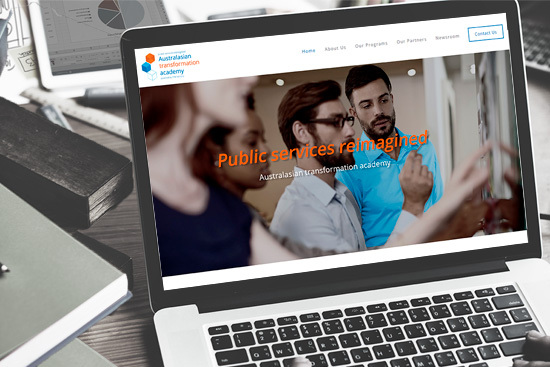 Welcome to the Australasian Transformation Academy - a place where professionals involved in the changing world of public service delivery can engage, network, collaborate and learn together to transform the way public services are delivered. We look forward to welcoming you to our Academy community and getting to know you through our programs, events, guest speaker series and shared content. The Australasian Transformation Academy has been established to support organisations, leaders and managers involved in the delivery of public services to build their capability and capacity to reimagine and transform how services are delivered. We do this by designing and delivering exceptional development programs which provide participants with the critical thinking time, tools, case studies, coaching, peer-to-peer support and facilitation to tackle real world issues facing their organisations and communities. Our mission is to drive better outcomes for people and communities by developing the capabilities of government and non-government organisations to collaborate, innovate and lead transformation.